The Patriots' new receiver is picking up the offense in practice since the trade with the Browns. FOXBOROUGH, Mass. 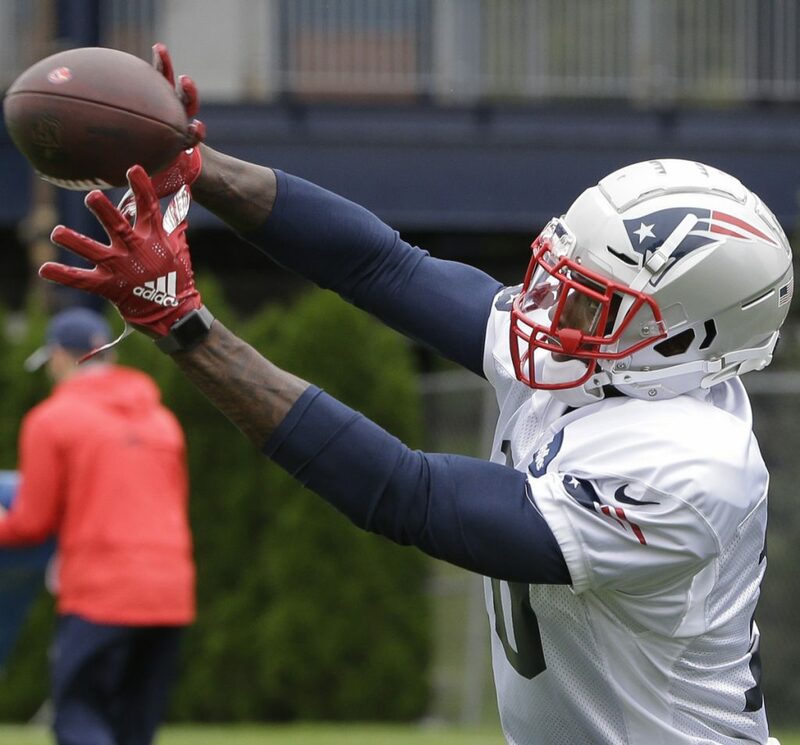 — It took a few days before Bill Belichick finally admitted Friday that Josh Gordon, the troubled but talented wide receiver, is a New England Patriot. The trade bringing Gordon, who played in just 11 games with the Cleveland Browns since 2013 due to NFL suspensions, was announced by both teams Monday. Gordon and a seventh-round draft pick went to New England for a fifth-rounder. Belichick then refused to talk about it Tuesday when it hit the NFL transactions wire. He then said the trade still wasn’t done Wednesday, when Gordon was on the practice field. Limited in practice, Gordon, who missed 43 of his last 48 games, could make his debut with his new team Sunday night in Detroit when the Patriots (1-1) face their former defensive coordinator, Matt Patricia, and his Lions (0-2). “(He’s) been eager to get in there and learn everything we’re doing and, you know, just trying to acclimate himself to what the program is,” quarterback Tom Brady said Friday. Asked Thursday about Gordon, who had a big game against New England in 2013, safety Devin McCourty, stumbled a bit and said, “That’s a lot of, ‘I don’t knows.’ I don’t. He’s only been here for I think two days now so I wouldn’t say I can formulate an opinion on him. But we all know he’s a good player. NOTES: Tight end Rob Gronkowski, “limited” in practice Wednesday (ankle) was back at “full participation.” … Brady completed his first NFL pass against the Lions on Nov. 23, 2000, but that was at the Pontiac Silverdome. He was 1 of 3 for 6 yards, the completion to Rod Rutledge in a 34-9 Thanksgiving Day loss. That was the only game Brady saw any action in as a rookie. … The Patriots lead the series with the Lions 7-4 and come into this game 16-9 on “Sunday Night Football,” 10-2 in their last 12. … New England hasn’t lost two straight games since 2015 and is 12-1 since 2002 (the loss in 2012) after a September loss. … Jones, the Patriots’ second draft choice in 2016 and injured all last year, was cut at the end of camp and was on Baltimore’s practice squad when New England decided to bring him back.